I didn’t think much of the new Odric when I saw him. In fact, last week, in probably the best article anyone has ever written about EDH Finance, I said the following about him. That was mostly about how unexcited I was to build around him compared to a card like The Gitrog Monster. Odric is cool and all, but the other Odric just seems way better. Here’s the problem with that logic – the new Odric is NEW. And new is exciting. You can absolutely capitalize on excitement and I’ll tell you how. Why am I bringing up Odric at all? Well, it’s pretty simple. While the Gitrog Monster is clearly the most exciting card for EDH in all of Shadows over Innistrad, it’s not the only card. People want to build other decks. Based on what I read leading up to the release by basically everyone, the second-most-exciting creature in the set to build around was the new Avacyn. It’s a mythic angel, lets you play red, flips to blow stuff up, makes stuff indestructible and it’s named Avacyn. Those are all super compelling reasons to want to build around her. You will imagine my surprise when EDHREC published their power rankings and the punditry was silenced by raw data. This list is abridged – the full list can be found in this reddit post. As a brief aside, I’ll explain how the list is weighted. 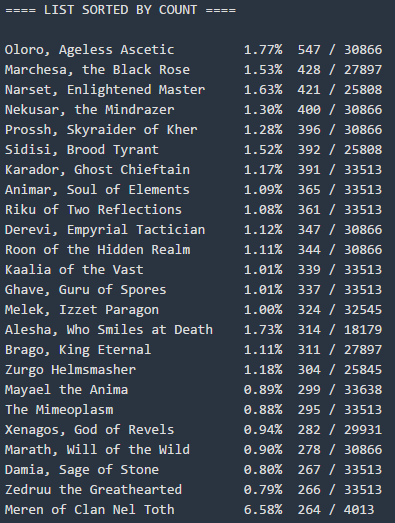 It’s based on percentage of decks submitted as a snapshot. The numerator is the number of decks submitted with a specific commander and the denominator is the total number of decks submitted to the database over the time period as a snapshot. That means Prossh is 1% of the total decks submitted to EDHREC ever and The Gitrog Monster is 20% of the decks submitted over the 130 decks submitted in April. While this isn’t accurate in terms of showing the most popular decks of all time, it is not that sort of ranking. 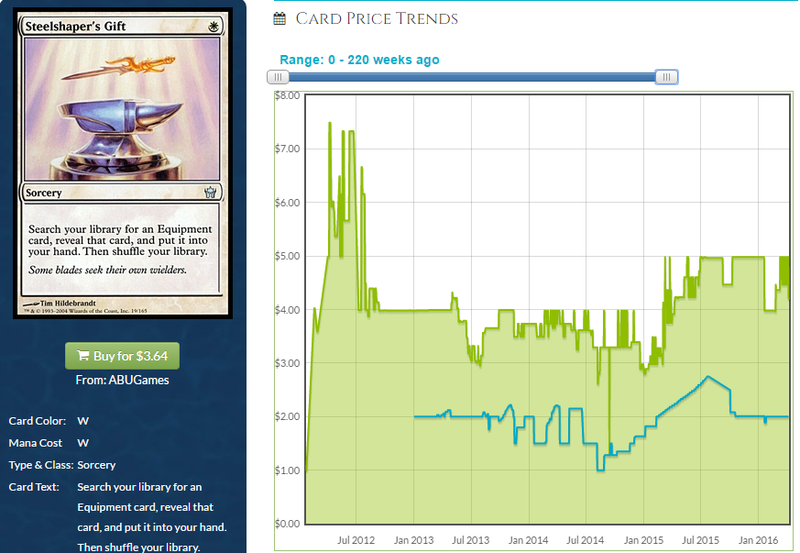 Those other decks are there merely as context to show relative popularity of decks submitted in April. It’s a power ranking, after all. It shows Meren getting pushed out of the number one spot but still shows how popular Meren has been for context. 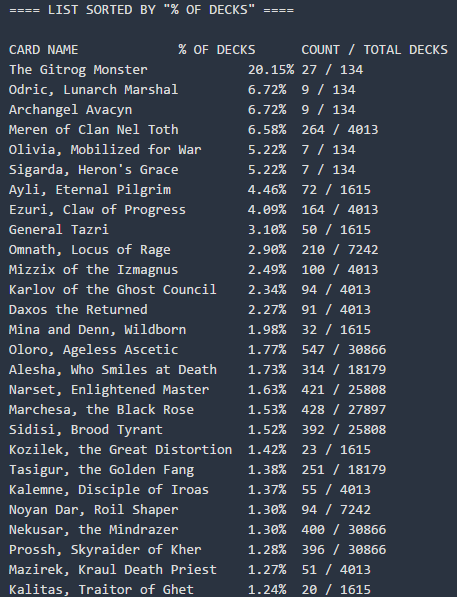 For more context, they also showed the unweighted, all-time popularity rankings which shows the number of decks for that commander over the total number of decks submitted. Meren didn’t crack the Top 20 all-time (but I can’t imagine it won’t). So in addition to showing that new cards are topping the power rankings meaning that they experienced the biggest surge, Meren beating out Olivia and Sigarda shows a little context for the surge in popularity for new Commanders relative to older ones people are still excited about. That was to be expected – Sigarda is an angel, but it’s not a very exciting one compared to her older sister. Odric didn’t initially seem that exciting compared to is older brother but the community showed that they were as willing to build an Odric deck as they were Avacyn, at least this early into April. I don’t expect that to stay the same, but as long as people are more excited about Odric than we’d anticipated, it’s worth looking at the cards they are going to want. Were we wrong in our analysis of how unexciting Odric was during our set review? I don’t think so because even if Odric were 20% of the decks submitted in April, there still wouldn’t be much money to be made pre-ordering him. Non-mythic cards from a 1-of format don’t really move the needle too much when they’re in a set that sells a ton of copies. 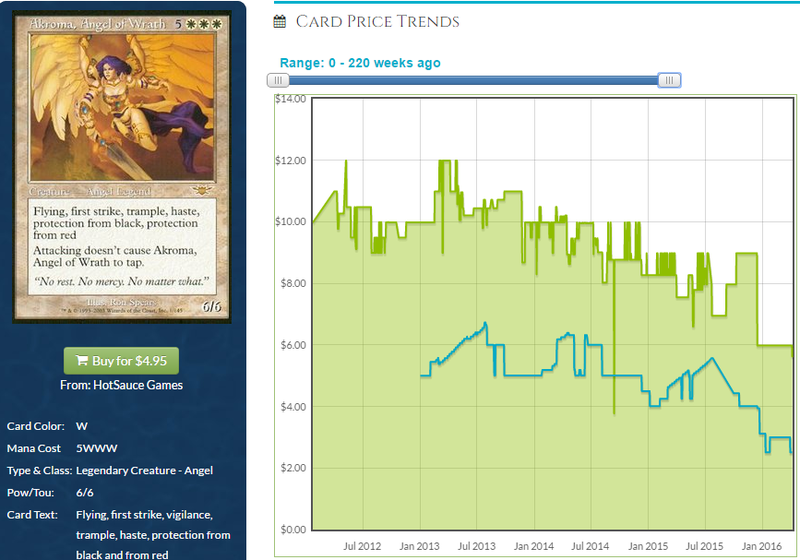 Ayli is 7th on the power ranking list and look at her price. The price fluctuated a bit, but dealers didn’t change their buying behavior and they’re as bearish on buying this now as I am. It’s a $7 foil and rightly so, but Odric wasn’t going to make you any money buying just him so telling people not to be excited at presale time seemed correct. There wasn’t money to be made on Odric – he’s no stapler. I will say I underestimated his utility as a rock, however. 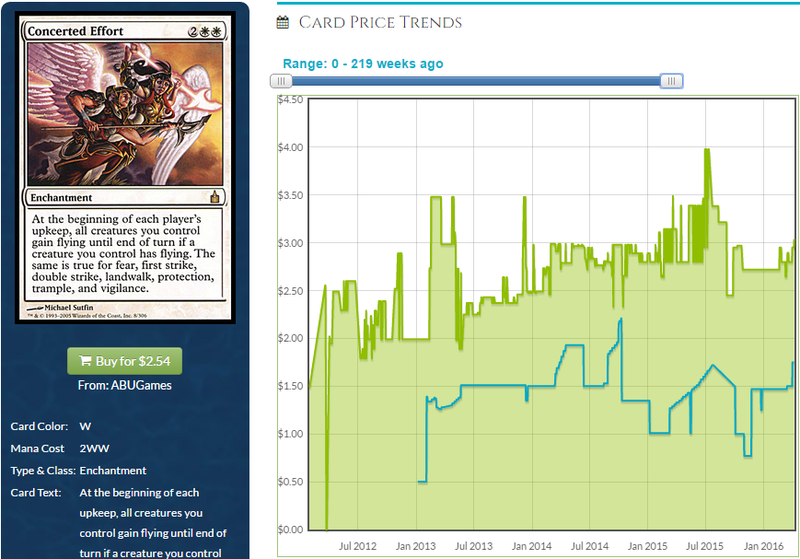 Throw Odric into the pool of EDH cards and you’re going to make a ton of ripples. Is there money in them thar waves? Let’s take a look at what those people who are just excited to build with him as they are to build with Avacyn are using. The Fairly Odd…ric…father. They can’t all be gems. This is the guy. He’s a Concerted Effort with feet. Is that a thing people like in EDH? You tell me. Eh. Kinda. Enchantments from Ravnica that get a lot of EDH play are worth actual money. Privileged Position is worth four times as much as Concerted Effort and Perilous Forays, an uncommon, is worth a fourth as much. This price indicates a minimal but statistically-significant level of inclusion. EDHREC gives it a 39% synergy rating with Odric, a card that was just printed, indicating most of its play is recent and even with the card appearing in 44% of the new Odric decks, it’s only in 1.4% of white decks. You can see why I didn’t think having a Concerted Effort with feet was as exciting as a flying murder machine like Avacyn or a 6/6 creature with Deathtouch like The Gitrog Monster (I am planning on building around its huge body and deatchtouch by building Gitrog Votron. No, I’m really not, but can we talk for a second about how stupid it is to give a huge creature deathtouch? It was marginally acceptable on Grave Titan because they had to give him something but it is silly at this point) but the community surprised me by being more excited about this card than I am. 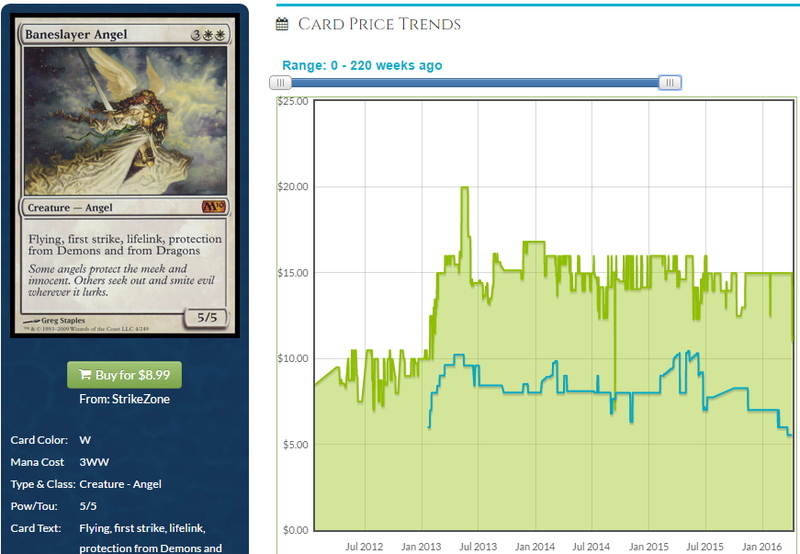 The great thing about EDH is that it moves prices predictably and more slowly than Standard which gives us time to position ourselves in front of coming waves. Cards used in Odric are going to sell slowly, trade well and generally just tick up reliably if he keeps being built at the rate he is. We’ve looked at Concerted Effort already, so why not look at it again and call it the first card on our list? Activity has been pretty flat lately and with a new event (a deck where 44% of the new builders are including a redundant copy of their Commander) and the reprint risk being low, I think there is upside. Dealers aren’t adjusting their buying yet so the copies in stores are going to be lower than they would on a card whose popularity was well anticipated so buying behavior could shock the price a little bit. I don’t like the card, personally, but with obvious synergy with a popular commander and a $2.50 buy-in (and I guess a ceiling at $13 like Privileged Position, which would be predicated on much, much more play than it’s ever likely to see) there is a non-zero amount of money to be made here. I’d try to snag these cheap and out them for $5 in trade soon-ish. I still get these shipped to me in bulk rares. The cards that are best with a creature like this are creatures with multiple abilities. You’re going to be able to grant your team a lot of abilities with fewer creatures in play by doubling or tripling up on the abilities on any given creature. There are some pretty saucy cards that pair with Odric in this manner. Giving 3 solid abilities to your other creatures and being not-too-shabby on its own, Baneslayer seems like a fairly obvious inclusion. Baneslayer has been flat lately, and the FTV printing didn’t help any. Baneslayer is always going to be a good card, a casual favorite and something for angel collectors to covet. I think we’re done seeing reprints of Baneslayer for a while, unless Commander 2016 or ’17 gives us a commander that pairs well with angels, in which case this would be a good inclusion as that deck’s Wurmcoil. We have seen a lot of reprints in the $10-$15 range in those products, but only when they are slam dunk inclusions. This seems pretty safe to me and I think there is upside either based on an Odric bump or just time marching on. 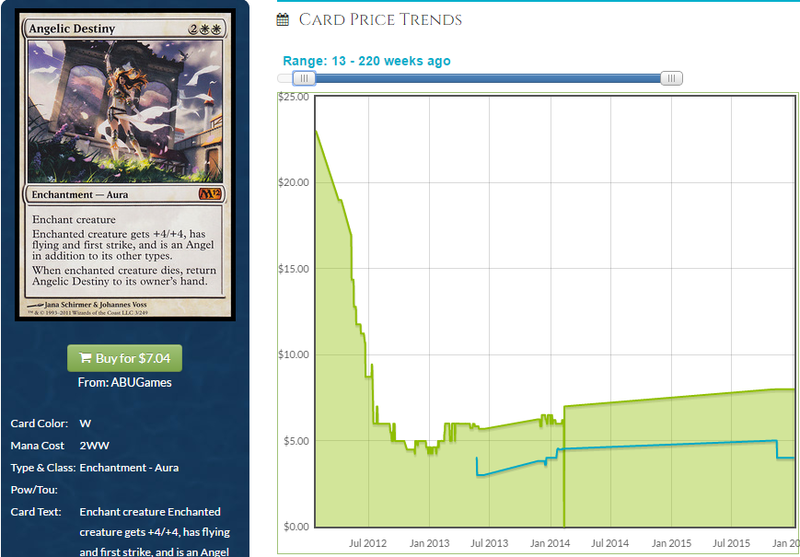 If it weren’t for Modern Masters 2015, this would likely be much higher. Formats that play more than one copy of this card still like it and the extra interest from other formats like Legacy (Death and Taxes, mostly) just gives this more upside. I hope this is done getting reprinted because this could see $4 or $5 again and I want to have a pile when it does. 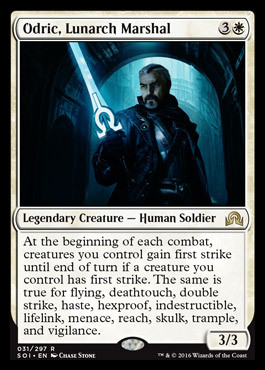 Have creatures that grant double strike are going to be very useful in an Odric deck, and this is basically the only white double-striker worth any money as the rest are big, durdly white uncommons. Those other cards are nothing to sneeze as because most of them also grant flying, but there isn’t a ton of money to be made there unless you’re buying bulk and picking them out to buylist for for a dime. For the record, I don’t hate buying bulk and buylisting dimes. With great numbers of abilities comes great responsibility. Or something. Look, this card has approximately all of the abilities. The issue? It also has approximately all of the printings. Angels are pretty good with Odric because they tend to be both white and laden with cool abilities and Akroma here is no exception. This is going to load up your team with a ton of relevant abilities and I think there is upside for Akroma if they can see their way clear to stop reprinting her. I feel like a bunch of duel deck anthologies copies are about to hit the market since it’s becoming increasingly efficient for speculators to crack those open since they contain an Ancestral Vision. That means more copies of Akroma could hit the market as people dump the rest of the cards in those decks since they broke even on a few cards and the rest are gravy. I don’t like this as a result, so I think this card is a long-term hold that will keep getting pushed to longer and longer terms. There isn’t even upside for the older versions because EDH players in general want the cheapest copy, not the prettiest. Currently this has an even higher synergy rating with Odric than Concerted Effort does. This grants two useful abilities, is super good in other decks and does it all for 3 mana. 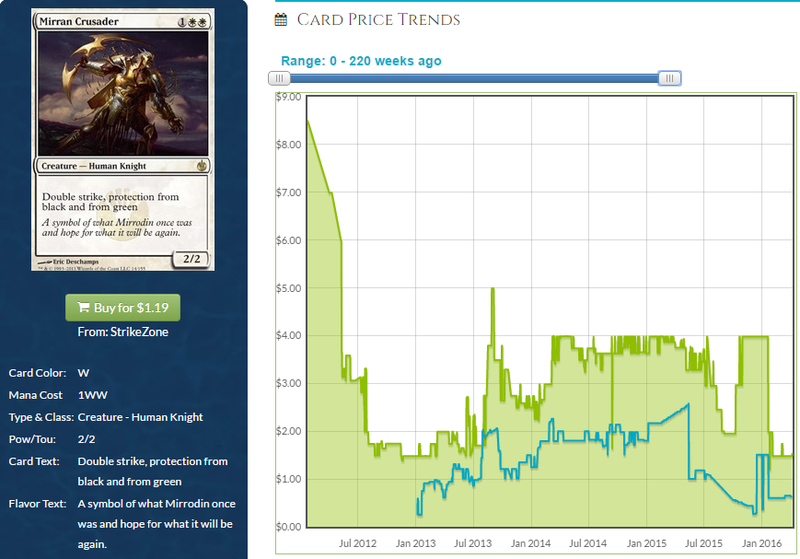 I feel like the reprint risk is medium to high but in the medium term, this absolutely has upside. All this does is climb. This pick is ballsy. Reprinted in both Commander 2014 and Commander 2015, this could have been a $5 card by now. Commander 2016 could easily see another printing which would disappoint me. I’m inclined to say the reprint risk is very high since they did it in back-to-back sets, but maybe they feel like they have printed this enough. I don’t know what the play is here, but this is certainly a good card in the deck. Fetching equipment is useful in decks like this. Grabbing one of any number of equipment that grant multiple abilities is saucy in this deck. Open the Armory is too prevalent out there for us to make money on right now (You can get these for free just by picking up draft chaff people leave on tables) but Steelshaper’s Gift is still plugging along. This demonstrated an ability to hit $7, but that was predicated on the banning of Stoneforge Mystic in Modern and the mistaken idea that this was a suitable replacement. That first spike concentrated copies in the hands of dealers, though, making it less likely that increased demand will be flattened out by copies coming out of the woodwork. Second spikes always end up being steeper. 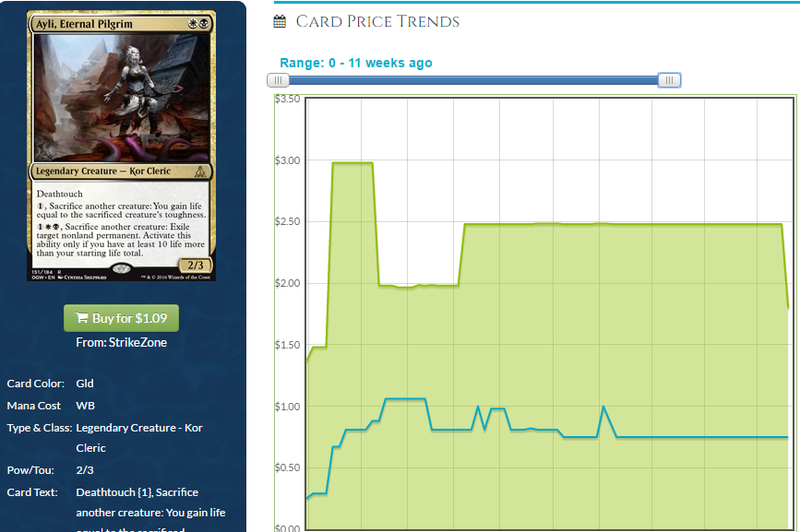 Odric isn’t enough to spike this card, but increased demand is going to lead to increased price for all of those reasons. I don’t hate this as a buy and it’s unlikely to get reprinted if they’re going to print cards like Open the Armory that are just better (although more expensive mana-wise). I am over my word count mandate, but I will briefly say this is never going down in price barring a reprint, which isn’t all that likely outside of Commander supplemental product, something we’ll be able to predict once we know what the color combinations for Commander 2016 are and what the generals are likely to do. I like this a lot. There are quite a few more saucy cards and I think you get the idea by now. 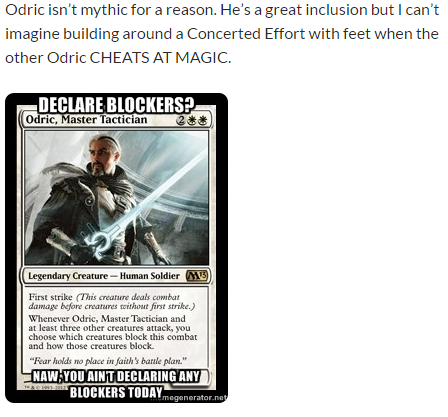 Check out the entire Odric page on EDHREC for more ideas. Check the synergy rating and pricing trends. For this article I avoided cards that are only good because it’s a mono-white deck like Caged Sun and Nykthos, cards that are color staples rather than Odric staples like Land Tax and Swords to Plowshares and are too cheap and prevalent to experience upside like Aven Sunstriker and Sungrace Pegasus. 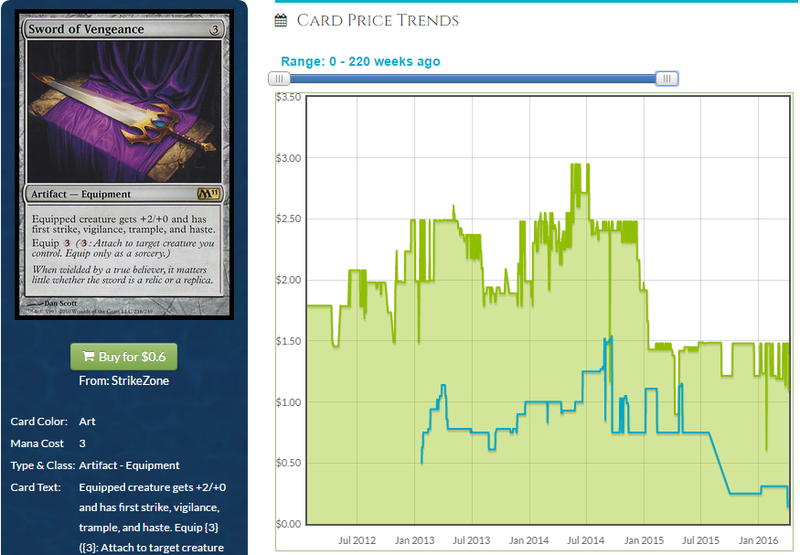 There are cards that will see a bump if Odric is built as aggressively in the coming months as he was the last week. I didn’t predict that happening at all, but luckily we are in a position to let the community surprise us. Until next week! Advertisement: The best Magic players are organized… and the best way to organize your collection is with OzGuild! Building a digital catalogue of your cards is quick and easy, just scan your cards with your smartphone. Scan in your first deck for free! The reason Im building Odric is mostly I dont want to have the 2nd Avacyn deck or the 4th Gitrog in my play group- I usually leave the popular commanders to everyone else and try something a bit more unusual- maybe its the same for other people? Seems likely. Gitrog is exciting but it is also a bit linear, for example. The same reasons we financiers love how predictable the price increases are lead deckbuilders to be a bit bored by an obvious build. Odric lets you do all kind of nutty stuff and you can out your own spin on it. That is worth noting. I bet a lot of people feel like you do. I can’t believe you didn’t even Akroma’s Memorial, which is all Odric-Upside of Akroma with an easier casting cost and only two printings. Also, in an Odric-style deck, it’s like a replacement for casting your commander in long-running games. Tiny Leaders was a fad. It was 50 card singleton Legacy. EDH for people who hate EDH. It didn’t have the support from the community EDH has because it is entirely different. Why are you nervous about In sting in EDH? What more does EDH need to do to prove to you it is here to stay? 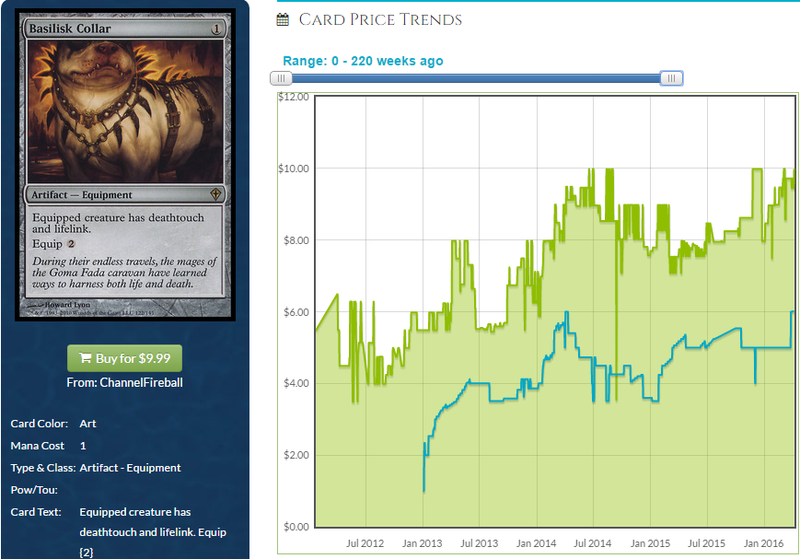 It spikes way more card prices than Standard, Modern adn Legacy combined.